Cornwall. Additionally, the Periodic Table of the Elements now includes the newest element, roentgenium, and the geographical entries reflect up-to-date geopolitical changes, such as the recent dissolution of Serbia and Montenegro. Usage notes based on the opinions of the renowned American Heritage® Usage Panel help the reader discern the difference between the conventional and the quirky in language use. Special features on synonyms, regionalisms, and word histories enrich vocabulary and show how language changes over time. 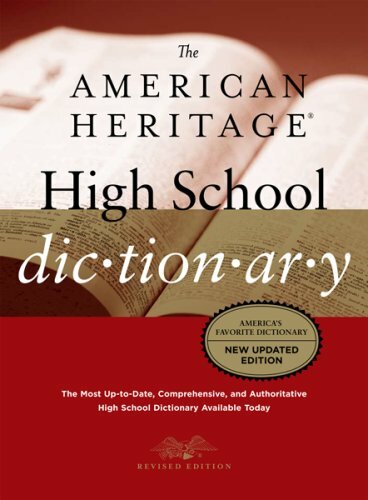 The American Heritage® High School Dictionary, Fourth Edition, is the most comprehensive high school dictionary available today.